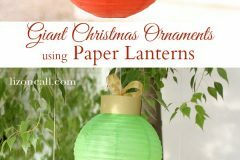 I absolutely adore this idea from Heidi at My Paper Crane. 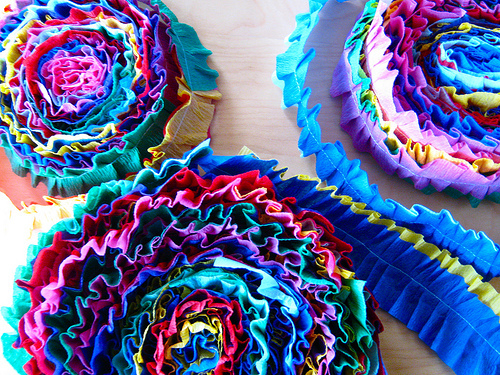 She sewed two strands of crepe paper streamers together and they gathered into ruffly wonder-streamers. I think this would be knock-out at any kind of party from Cinco de Mayo to birthdays to showers of any sort. 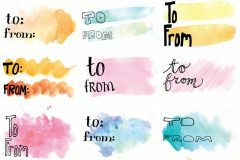 I love how Heidi used multiple colors of streamers – so pretty and colorful! Get the lowdown on her technique for making these streamers at My Paper Crane. 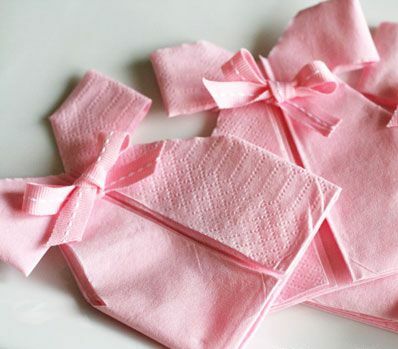 Learn how to make these adorable napkins that look like little dresses – great idea for baby or wedding showers. Get the tutorial at How Does She? E6000 glue, or you can use a hot glue gun to make temporary stands for parties (but you can remove the glue later to return the dishes back to their original state–great for your grandma’s antique dishes). 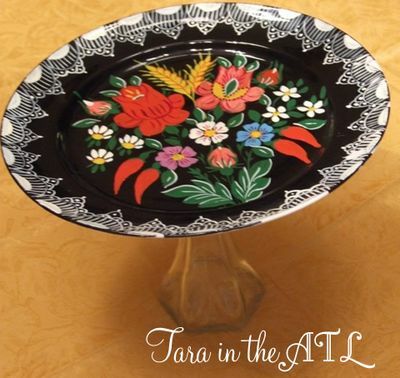 Check out Tara’s project here. Sarah at I Blame Mom made this big cupcake tree with cake decorating cardboards, cake risers, wrapping paper and ribbon, but you could do it with stuff from your recycling bin and the dollar store. Get her tutorial here. 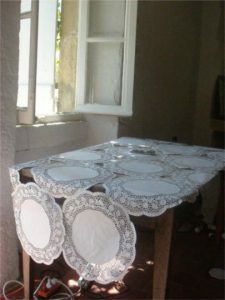 I love this quick idea: tape a bunch of paper doilies together to make a pretty tablecloth. The dollar store always has a lot of doilies on hand in the wedding section or the kitchen section (and sometimes the seasonal sections, depending on the time of year). 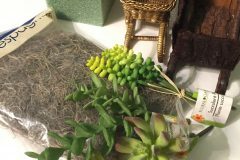 Info found over at Apartment Therapy. 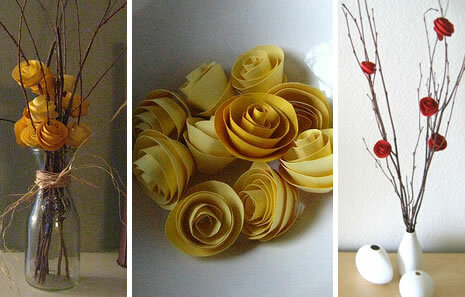 Aren’t these paper flowers charming? They’d be so pretty as table decorations at a party. 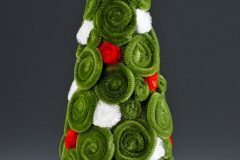 Hmm, wouldn’t ribbon versions be so pretty as a brooch? Get the info at Talk Crafty To Me. 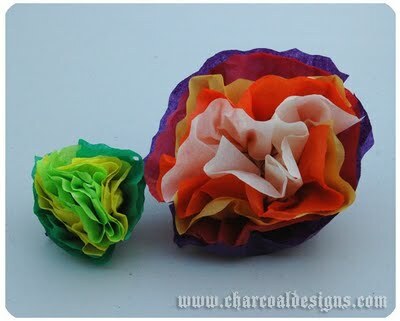 And for another kind of paper flower, check out these Mexican-style paper flowers by Charcoal Designs. 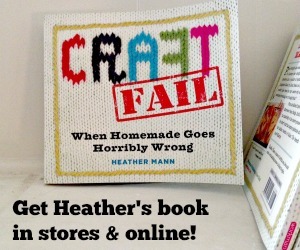 These are some seriously fabulous ideas, Heather! You do such a great job finding the cool links.. I have your site on my blog under “blogs that inspire me”. I LOVE the ideas here! Thank you! Oooooh, I love the streamers! Just clipped ’em onto our sidebar with your link! The paper flowers in the vase look impressive! 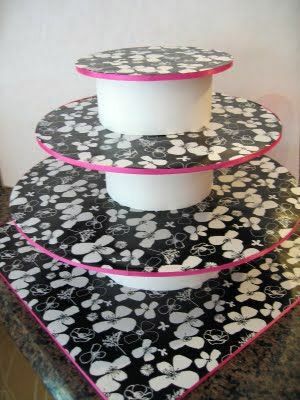 And love the two layer crepe paper streamers. How trendy and inexpensive.